Prominent & Leading Manufacturer from Coimbatore, we offer unbreakable heavy duty buckets. We are a highly famous provider of Unbreakable Heavy Duty Buckets. These buckets are manufactured by using the finest quality of material in fulfillment with set standards of quality. 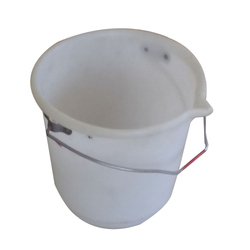 These buckets are widely used in bathrooms and kitchens of houses and commercial places. Our offered range is widely popular in the market owing to its exclusive design and durability and remarkable quality. Looking for Unbreakable Heavy Duty Buckets ?